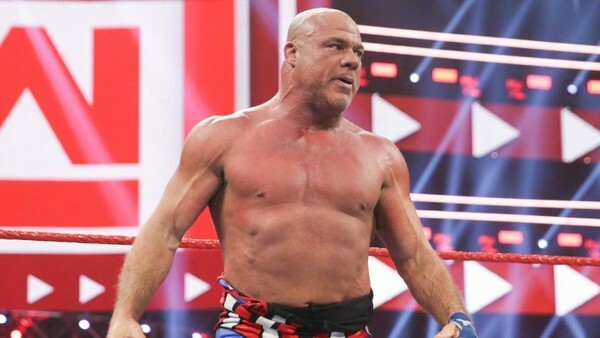 Last week's Monday Night Raw saw Kurt Angle wrestle his latest match since returning to WWE television in April 2017, putting the fast-rising Drew McIntyre over in a successful story-based main event. It was the Olympian's seventh bout since his Hall Of Fame induction, but only his second singles match, with the first coming against Dolph Ziggler at Crown Jewel three days prior. 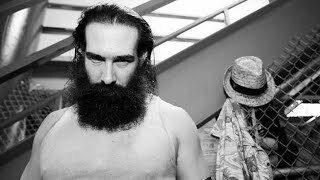 Now, the former WWE Champion wants more. "I do want to wrestle more. I just started wrestling again so it’s going to take a few matches before I get the kinks out, especially being older now. I’m hoping I get a little bit more consistent wrestling in the future. Either way, I love contributing. We will see." He went on to name a handful of preferred opponents, including NJPW's Kenny Omega (whom he named as the man he "most wants to face") and Velveteen Dream, though his ultimate dream match is "2014 Kurt Angle vs. 1989 Ric Flair." Physical concerns are the most obvious barrier to Kurt working a more regular wrestling schedule. Now 49 years old, Angle has taken exorbitant amounts of punishment through his career, with his limitations apparent every time he steps between the ropes. Still, if WWE's medical team are happy he can go, there'll be nothing stopping him. Angle had been linked with a Survivor Series elimination bout against a Baron Corbin-captained team for control of Raw. This obviously didn't come to fruition, but perhaps we'll see him in action again soon.